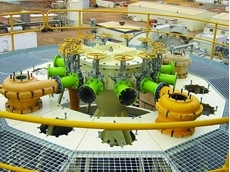 New wear avoidance methods for minerals processing plants is helping miners cut costs. In the finale to this two part article, we look at the future ahead for contract miner Barminco. Leading Canadian electrical distributor, Dixon Electric has launched its next generation electronic product catalogue for mining giant Vale Canada. Australian mining contractors have been hit particularly hard in the last six months. Job cuts across the board, massive redundancies, and work awards have been reduced. Yet despite this overhanging cloud of gloom amidst an ever increasing body count, one Australian underground contractor is still seeing the upsides in the face of the downturn. Barminco, an underground hard rock focused company, is not only surging ahead during this time but has still managed to set records. Operating at MMG's Dugald River mine, the contractor managed to once again raise the bar and even surpass the previous operational record it set in Africa. Peter Stokes, Barminco's newly installed managing director, told Ferret that "we've had a great success at Dugald, and set a new development record and broken our own records in the process". 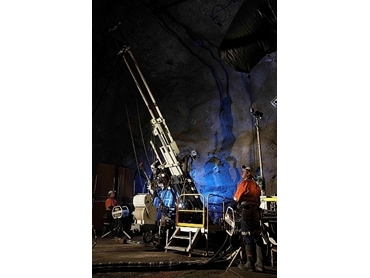 It first started in July 2011, under Barminco's joint venture with Ausdrill - African Underground Mining Services (AUMS). Typically crews operating a jumbo underground advance between 200 and 300 metres a month. However three crews working on a single jumbo managed to achieve 603 metres advance in a single month, fully bolted and meshed as per Australian standards. Now it has smashed its own record. "We did 700 metres advance with a single jumbo in one month," Stokes told Ferret. "The best part is that we delivered these production numbers without sacrificing on safety." It's figures like these that provide Stokes' belief in contractors on site, which may become a rarer thing as more mines look towards the owner/operator model to cut costs and bring more profits within their own business. As it stands only around half of Australian mines outsource their actual mining work. This gets even smaller when taking into account Barminco's singular focus on the underground hard rock sector. "It's a relatively tight market," stokes explained, "while there are only eight underground focused contractors, there are only really three in our space - us, Pybar, and Byrnecut". Yet despite this Stokes is positive about contractors' future in Australia. He went on to say that "we are seeing a great trend towards underground contracting, and the fact that our techniques are getting better is only helping this". "In Australia we are still growing our portfolio, and the future is looking good as we are seeing more massive open cut mines move to underground operations," he said. Part of this is the current quest to reduce costs, and as a response the declining ore grades. In fact in the last year in Australia Xstrata's enormous Ernest Henry pit made the move to underground, while Chile's famed Chiquicamata - an operation that has been mined as an open cut for more than 500 years and even appears on the currency, is even moving underground. "Tropicana is also a surface mine that will likely go underground to access higher grades, and even long term mines such as the Freeport-Grasberg mine in Indonesia is shifting; they spent 25 years doing surface mining and will now last another 40 to 50 years as an underground operation - these are massive operations making the move to underground and it bodes well for companies like us," Stokes said. Closer to home Barminco has been working at AngloGold's Sunrise Dam for the past five years to help it move underground. Importantly, he added, Australians also have the skills to make this shift, as they have the experience in creating decline mines, which are cheaper to develop than conveyor or shaft mines. "Decline mining is definitely an Australian capability which is being pushed out (particularly in Africa), as declines are more cost and infrastructure advantageous compared to shaft mining," Stokes said. 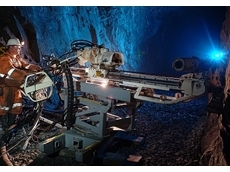 In making the shift underground "it's all about how deep you go, and decline mining makes more sense going around one to two kilometres underground, however anything below that you'd look at conveyor or shaft operations," he told Ferret. To read the second half, and conclusion of this article, click here.